FDA, electric shocks: Autism treatment at Rotenberg Center may be banned. Footage from the Judge Rotenberg Center. Per the Associated Press, the Food and Drug Administration is considering a ban on electric-shock devices that are used to punish unwanted behavior by patients with autism and other developmental disabilities. If it comes as a surprise to you that any involuntary electric shocks are administered to autism patients in the United States, that’s because the devices are only used at one facility in the country—the Judge Rotenberg Educational Center in Canton, Mass. 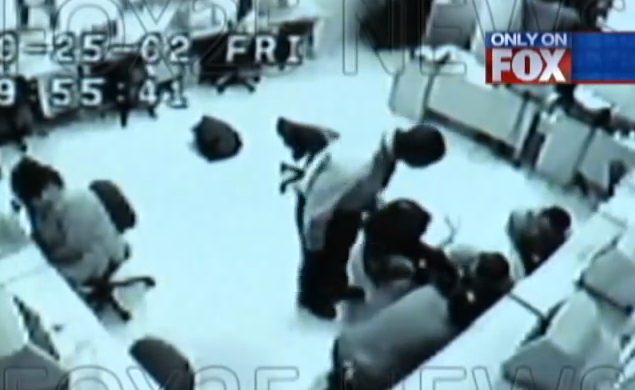 The school has been a target of media attention in the past; in 2012, video leaked of 18-year-old patient Andre McCollins being restrained face-down and shocked 31 times. McCollins’ mother sued the center, and the lawsuit was settled outside of court. Rotenberg must get a court’s approval to begin administering skin shocks to a student. The center uses a graduated electronic decelerator, or GED, that is attached to the arms or legs. If the student acts aggressively – head-banging, throwing furniture, attacking someone – then a center worker can press a button to activate the electrode, delivering a two-second shock to the skin. The student is placed in a chair, often restrained with straps. Then, for up to 10 minutes at a time, they are ordered to carry out precisely the behaviour they have been told not to do. If, say, they have the habit of slapping themselves on the head, they are ordered to do so. If they try to get away, they are zapped with the stronger GED-4 shock machine. But if they follow orders, and slap themselves, they are zapped even more frequently. The process is repeated until they sit motionless in the chair for a full 10 minutes. Although the FDA cleared the devices used to generate the shocks in 1994, the center began using a version that generated stronger shocks after a student became increasingly tolerant, eventually leading to a hearing this year. An official ruling is expected, per CBS, at any time.